The Sunny Health & Fitness Sit-up Rowing Machine is a compact combination of both sit-up bench and rowing machine that targets your abs, chest and arms. 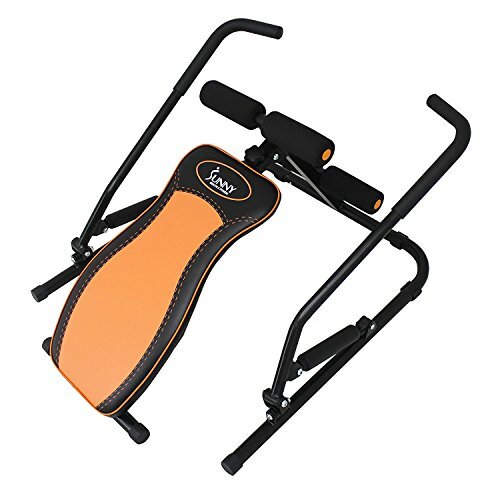 This Sit-up Rowing Machine allows you to easy switch between sit-up and rowing motion to add intensity or simply a sit-up bench to perform your regular sit-ups, twists, core-strengthening exercises. The Sunny Health & Fitness Sit-up Rowing Machine is expertly crafted for performance, stability and maximum efficiency, accommodating user up to 220 LBS.